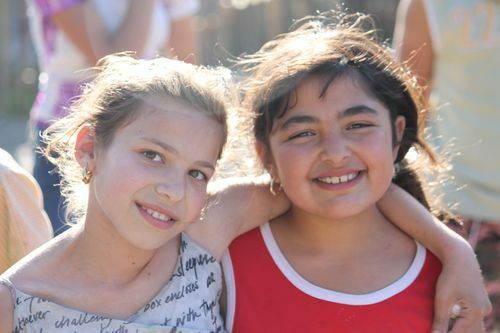 In the fourth blog of the “Real Change in Romania” series, Estera & Viorel Grigore, Directors of Romanian Kids Ministry, give an update on their orphanage and share how nutritional support has impacted children in their care. Getting nutritional products from MannaRelief was something new. There isn’t very much relief support for South of Romania. When we received the products from MannaRelief last month, we were able to get the local mayors involved with the distribution of the nutritional products to make it more official, but also to show them we are open to help and have nothing to hide. The Albesti and Valea Badenilor mayors were especially excited about doing “their part” with distributing the products to the children. There are two boys in particular with whom we have had problems. They are orphans. We’ve gotten them to stay with us and we are trying to adopt them as well. There mother passed away due to a weak immune system, and they were staying with whoever would take them. 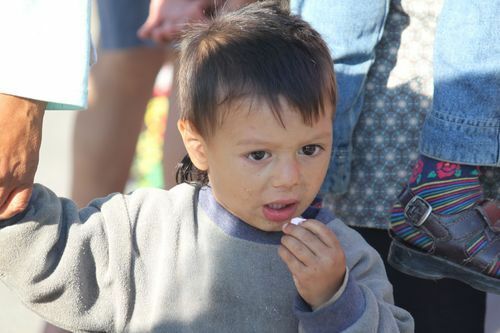 When we got the boys in September of 2008, we were made aware by doctors that their well being was a very “delicate situation” due to the problems caused by malnutrition. They both have benefited from the nutritional products MannaRelief has provided and it is encouraging to see the boys remain well when kids around them are getting sick. They did not catch a fever or anything through the entire winter season! We also noticed a big difference in some of the other kids that took the nutritional products. A mom of 9 children is suffering from cancer. Several times, when visiting them, we noticed they hardly had any food. Just a couple of weeks ago 6 of the kids were fighting over 3 eggs there mother had saved for a birthday cake. Their mom doesn’t have a job. She would have never dreamed of being able to provide vitamins, though she has prayed for them. In a gypsy camp nearby there are no veggies or fruits, ever, except for some wild berries they pick in the summer. In many families, the parents don’t have jobs. They will steal to provide food for their children. And when they steal, they are not concerned about healthy food. Their goal is to just get something. They mainly take pork meat and sausage. Now that MannaRelief is providing us nutritional support, the kids in this village look healthier and we even noticed their cheeks are more red in color. In addition, and I don’t know what the connection is, but their spirits have even noticeably been lifted up. They seem more positive now. Perhaps it is the fact that it is the first time someone proved to care for their needs. Maybe it even has something to do with the support that the nutritional products provide for their immune systems. Whatever it is, you can see it. This update is made possible by the Spare Change for Real Change campaign. Blog photos are from MissionRomania 2009.